The speed and stability of the network is making a great leap forward thanks to the high bandwidth and low attenuation brought by fiber optics. Optical transceiver module is the major building block in fiber optic network, which conveys the information across communication channels for your optical systems. This article offers some rudiments about optical transceiver module and suggestions of choosing fiber patch cable for your transceiver module. An optical transceiver module is a device that uses fiber optical technology to send and receive data. The transceiver module has electronic components to encode or decode data into light pulses and then send them to the other end as electrical signals. To send data as light, it makes use of a light source, which is controlled by the electronic parts, and to receive light pulses, it makes use of a photodiode semiconductor. Optical transceiver module is evolving rapidly to meet the escalating demand for speed and capacity. The tendency is that fiber optic transceiver module is evolving to have smaller size and higher data rate. The common types of optical transceiver module include GBIC, SFP, 10G SFP+, 40G QSFP+, CXP, CFP, CFP2, CFP4, CPAK and QSFP28. Wavelength is the band of light used in the transmission of optical signals. The main wavelength of optical transceiver module is typically around 850, 1300 and 1550 nm, for the attenuation of the fiber is much less at those wavelengths. Besides, multi-mode fiber is designed to operate at 850 nm and 1300 nm, while single-mode fiber is optimized for 1310 nm and 1550 nm. Data rate refers to how many bits of data the optic fiber carries per second. The widely applied data rates are 155Mbps, 1.25Gbps, 2.5Gbps and 10Gbps. The data rate of optical transceiver can provide backwards compatibility. So 155M optical transceiver module is also called FE transceiver, and 1.25G optical transceiver module is called GE transceiver. Optic transceiver modules are correspondingly connected with different fiber patch cable according to the type of their interface. When you choose a fiber patch cable, you need to consider the following factors: fiber type, transmission distance, data rate and transceiver interface. We suppose that you need to choose a right patch cable used between fiber optic transceiver SFP-10G-SR and X2-10GB-SR. You know that SFP-10G-SR is 10GBASE-SR SFP+ transceiver module for MMF, 850-nm wavelength, LC duplex connector. And X2-10GB-SR is 10GBASE-SR X2 transceiver module for MMF, 850-nm wavelength, SC duplex connector. It’s easy to find that X2-10GB-SR needs SC connector, and SFP-10G-SR requires LC connector. So we should choose patch cable with SC-LC connector with MMF, 850-nm wavelength. In the same way, you can choose the proper fiber patch cable for your transceiver modules. I believe that you get more familiar with optical transceiver module after knowing its’ types, parameters and how to choose fiber patch cable for it. 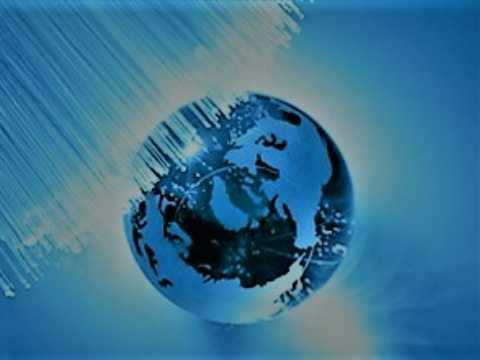 You also need to know that, the chief advantage of optical technology is its high data transfer rate, which can in practice be several thousand times as fast as a cable modem Internet connection. And fiber optic transceiver plays an important role in fiber optical transmission. For purchasing more high quality optical transceiver modules with low cost or for more products’ information, please contact us at sales@fs.com. Why Do We Need to Choose Base-8 MTP Link for Future-Proofing Your Network?